KUALA LUMPUR, Malaysia, 28 May 2018 – The tougher, smarter, more efficient new Ford Ranger 2.2L Wildtrak has been named as the ‘Pickup Truck of the Year’ at the DSF.my Allianz Vehicle of the Year Awards (VOTY 2018), reinforcing its reputation as Malaysia’s smartest, most capable and versatile pickup. “We are thrilled to add this prestigious endorsement to the overwhelming feedback from Malaysian customers who appreciate the Ranger’s durability, practicality, and advanced technology and features,” said Syed Ahmad Muzri Syed Faiz, managing director, Sime Darby Auto Connexion. 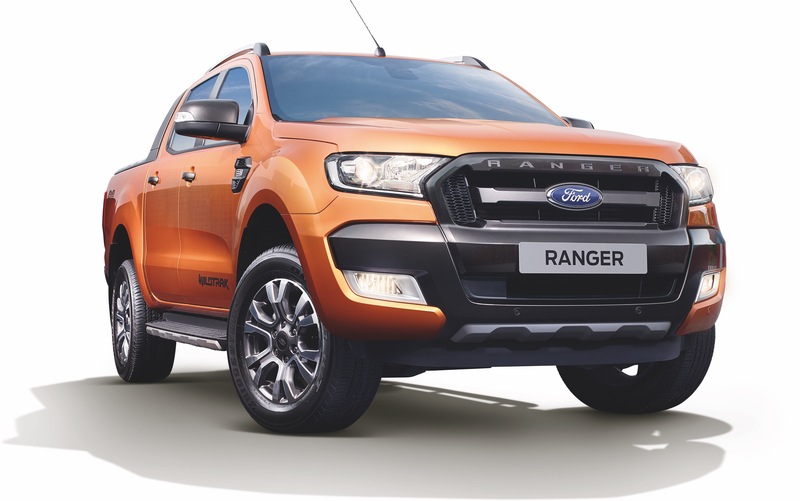 The new Ranger sets a new industry benchmark in the pickup truck segment with updated engine displacement to achieve both power and fuel efficiency, and a host of advanced new features that allow owners to achieve even more, especially with the highly demanded Wildtrak variant. Powered by a turbocharged 2.2-litre Duratorq four-cylinder engine, the new Ranger 2.2L Wildtrak delivers robust capability with unbeatable towing ability of 3,500kg, class-leading water-wading capability of up to 800mm and exceptional payload capacity. The new Ranger 2.2L Wildtrak retains all the ‘Built Ford Tough’ credentials while adding a level of refinement unseen in the pickup truck segment. The bolder, more modern exterior lends Ranger a powerful presence on the road while the stylish interior creates a comfortable, contemporary and car-like environment for the driver and passengers. A host of cutting-edge technologies and smarter features are available to help drivers stay connected and in control including SYNC 3 connectivity with Apple CarPlay and Android Auto support for enhanced convenience, Lane Departure Warning and Assist, Forward Collision Alert & Mitigation, 4x4 shift-on-the-fly, Adaptive Cruise Control, MyKey® system and Electronic Locking Rear Differential. The Ranger continues to be Ford’s best-selling nameplate in Malaysia and one of the best-selling pickups in the market. In the first quarter of 2018, sales of the Ranger helped increase its share of the pickup segment to 15.3 percent, a gain of 1.3 percentage points from the first quarter of last year. “Ford Ranger has proven itself as the toughest and smartest truck that customers can count on. Improved efficiency, refinement and a range of smart new technologies will help widen the Ranger’s appeal to potential Ford customers in Malaysia,” said Muzri. The Ranger is available in Malaysia in 10 variants – including the Ranger Wildtrak, Ranger FX4, XLT, XL and Standard – to complement perfectly the wide range of customers work requirements and lifestyles. For more information on Ford, visit SDAC’s multilingual website (www.sdacford.com.my), which also features a chatbot now available in three languages – English, Bahasa Malaysia and Simplified Chinese – to provide a better customer engagement experience.